When we hear Liposuction we immediately think of the abdominal areas such as the belly and love handles, but Liposuction may be a viable option for other areas of the body including many areas you would not guess! For women, the thighs, buttocks, chin, arms, knees, calves, and ankles are all common treatment areas. For men, the chest, chin, and neck are common treatment areas. Aesthetic medicine has seen an increase in different procedures performed at the same time. While the practice of performing multiple treatments at once is not new, advanced technology allows the plastic surgeon to combine surgeries with greater ease and efficiency. While there are many variations of combined cosmetic surgeries, the most popular body contouring procedure combination is abdominoplasty with liposuction. This combination is effective in addressing excess skin and stretched underlying tissue in the abdominal area, as well as stubborn fat in other body parts. A tummy tuck and liposuction are often done concurrently to increase the aesthetic benefits. Although both procedures are designed to improve body contouring, each surgery addresses a different consequence of weight fluctuation or past pregnancies. Where liposuction can remove subcutaneous fat in various parts of the body; a tummy tuck will resolve loose skin and muscle in the abdominal area. Although abdominoplasty is effective in addressing muscle and skin issues in the abdominal area, it is not designed to resolve stubborn fat deposits. Liposuction is a body contouring procedure which eliminates unwanted fat and pesky bulges which don’t respond to diet and exercise. Some of the common target areas are the neck, cheeks, chin, upper arms, knees, thighs, buttocks, hips, and abdomen. By combining these two procedures, you can achieve a comprehensive outcome that neither procedure can accomplish alone. A tummy tuck can provide a more toned, firmer abdomen by removing loose skin and tightening the underlying abdominal muscle. However, by adding liposuction to abdominoplasty, you can sculpt other areas consistent with your goals like the hips, thighs or buttock. Although cost should never be the most determinate issue when choosing plastic surgery, combining these two body contouring procedures is more cost-effective than having each done separately as a standalone procedure. You may ask – Why? The reason is the consolidation of the associated surgical fees and the anesthesia into one procedure makes the overall cost more attractive. However, this choice should be discussed with your plastic surgeon to ensure combining these surgeries is the safest and best plan for your desired outcome. When you combine these two procedures, you not only resolve two issues with one surgical plan, you also minimize the recovery. Although tummy tuck does have an extensive recovery compared to most plastic surgeries, adding liposuction does not increase the time or discomfort severely. In fact, the recovery time of a liposuction and tummy tuck combination is very similar to a standalone tummy tuck surgery. Also, to have the procedures done separately, you will need to wait at least six months between procedures to ensure proper healing. Both liposuction and abdominoplasty address different aesthetic concerns but can provide a harmonious outcome. Combining both procedures can offer superior body shaping and decrease the risk of complications as well. Whether choosing liposuction or abdominoplasty, you’ll find that both procedures address separate concerns, yet deliver comprehensive results. Recent studies indicate a combination brings out the best in each one for a superior body contouring outcome with less risk. The most important step when moving forward with any body contouring or plastic surgery procedure is to choose your surgeon wisely. Make sure they are well qualified with their experience and credentials. Board-certification ensures the plastic surgeon is highly skilled and current on the most advanced techniques and technologies. A consultation will make your relationship with the plastic surgeon more personal. Make sure you are well researched on the procedures and go to the meeting with questions and concerns written down. Ask to see visible results, like before and after images, to get a good idea of the outcome you can expect. Dr. Dreyfuss is a board-certified Plastic surgeon by The American Board of Plastic Surgery and a Fellow of the American College of Surgeons. He is also an active member of the American Society of Plastic Surgeons and The Illinois Plastic Surgery Society. He is a graduate of the prestigious Medical School of Emory University in Atlanta and completed his Surgery Fellowship at the University of Chicago Hospitals. He has thousands of satisfied plastic surgery patients in the Chicago area. To take the next step, call Dr. Dreyfuss at 815-806-9400 or schedule a consultation today. The key to a sustained fitness regimen is momentum. That’s when fitness activity is consistent day in and day out. The fuel which drives this consistency is experiencing results regularly. Unfortunately, when we embark on a diet and exercise fitness plan, results are often too slow in coming. We may start with motivation; going to the gym daily, eating superfoods, and drinking protein shakes. However, when there is little to show for this sacrifice, we revert to the habits which gave us the body we are trying to improve. We shy away from our gym’s fitness machines (including the front door) and find ourselves eating fast food and convenient store pastries. But if it were possible to see an inch or two off the waistline, and fat pads diminished in those trouble areas, encouragement would soon follow. Proper diet and exercise would begin to take on more meaning, and you’d get a good head start on your fitness journey! Liposuction is an aesthetic procedure which eliminates excess fat pads to improve your body’s contour. It is effective in diminishing pesky bulges around the back, buttocks, abdomen, thighs, love handles, cheeks, and chin. Combined with a healthy lifestyle, this body shaping procedure can work wonders in providing a body which will turn heads and make you feel sensual and attractive. It can also be a jump start to your fitness efforts by providing quick results and increasing your enthusiasm to get fit. Liposuction is a minimally invasive cosmetic surgical procedure which is designed to remove unwanted fat from target areas. This outpatient procedure implements a small tube (cannula) through tiny incisions to extract fat by saturation and suction. The results are a pleasing improvement to reshaping specific areas of the body. Complications are rare, and the surgery is safe when done by a competent board-certified plastic surgeon. Recovery is relatively short, and the desired outcome becomes apparent within a couple of weeks. Liposuction is not a weight loss treatment. Patients considering liposuction should be within 30% of their normal weight and in good health. The procedure will, however, make the targeted area shapelier for a more pleasing figure. There has been a recent push of non-surgical procedures to achieve cosmetic goals. With the advent of less invasive procedures like injectables and laser technology, surgery often is seen as a last resort option when looking to improve aesthetic concerns. However, liposuction has seen a significant up tick in popularity over the last couple of years because people are looking for quick results with little downtime. Liposuction fits this bill and more. It’s minimally-invasive with quick results. These benefits are just what many patients are looking for when seeking an improved body contour. So, when fitting into that special dress or vacation bikini is critically important in a few weeks, liposuction may be a viable solution. But when a commitment to physical fitness and a healthy lifestyle is just as important, liposuction may be crucial. Think of fitting into those jeans which have been in the back of your closet for years or wearing the flattering dress of your youth. Or maybe regaining the joy of shopping with friends and looking great in the outfit you have desired for months. Liposuction can be the start of regaining that youthful figure you have been trying to achieve for several years. Although liposuction is a minimally invasive aesthetic procedure – It is still surgery. And because of its popularity, many doctors perform the procedure without the proper training or experience. So, to get started you must first find a suitable plastic surgeon to treat you. Once you find this candidate, schedule a consultation. Here you will be able to learn more about the procedure by asking questions and stating your concerns. You will also be able to get a good idea of how this surgeon can help you attain the body you want. He should be able to provide visible images of how you will look following the procedure. Dr. Dreyfuss is board-certified by The American Board of Plastic Surgery and an active member of the American Society of Plastic Surgeons, a Fellow in the American College of Surgeons, and a member of The Illinois Plastic Surgery Society. He also has an extensive list of thousands of satisfied patients in the Chicago area. For more information about Dr. Dreyfuss and his practice call 815-806-9400 or schedule a consultation today. Even if you don’t have visible wrinkles, Botox can help prime your skin so that it’s flawlessly smooth in time for your wedding. Botox removes the forehead lines that even younger people tend to have, for instance, making it easier to apply makeup. Lip fillers are an excellent choice for many brides to be: Not only do they give you fuller (and more kissable) lips, they can improve the appearance of your smile. If you have a “toothy” smile that tends to show your gums, for example, filling in your lips will change the shape of your smile so that this doesn’t happen… Even when you flash your biggest, brightest smile. If you have visible wrinkles but aren’t ready to have a facelift yet, dermal fillers can be the perfect line-busting complement to Botox injections. Dermal fillers plump up the skin, filling in deep wrinkles and subtly changing the shape of the face so that it looks fuller and more youthful. 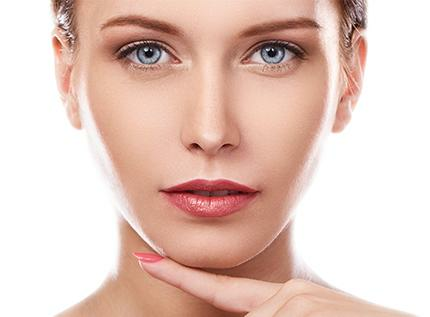 Both microdermabrasion treatments and chemical peels remove the top layer of the skin and therefore also remove fine lines, scars, age spots, and other minor imperfections. Peels force your skin to grow a fresh, glowing new surface layer that’s sure to dazzle in pictures. Most brides diet and exercise religiously before their big day… Only to discover that all the healthy eating and cardio in the world won’t banish those last few patches of stubborn fat around their abdomen. Fortunately, if you’re losing an uphill battle against genetics, there’s a quick, easy alternative: Liposuction. Liposuction is the ideal solution for rapidly destroying stubborn fat deposits… And with proper maintenance, the results should last for the rest of your life. Let us help you look and feel your best for your big day! Contact Dreyfuss Plastic Surgery for a consultation today.